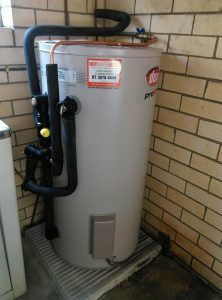 Dux Hot Water Brisbane – Service, Installation & Repair. Conrad Martens Plumbing & Hot Water are certified Dux service agents for the Brisbane area. Our alliance with Dux gives us access to in-depth service training and competitive pricing. By remaining up to date with all the latest product knowledge, our skilled technicians provide a unparalleled level of service. We hold plumbing, electrical (restricted), and gas licences, so our technicians can provide a fast and accurate assessment of your water heater, no matter what the problem . Once the problem is diagnosed, we can carry out repairs or advise on replacement options while on site. In order to ensure the best possible service, we stock a wide range of replacement parts including thermostats, elements, valves and gas components on board. 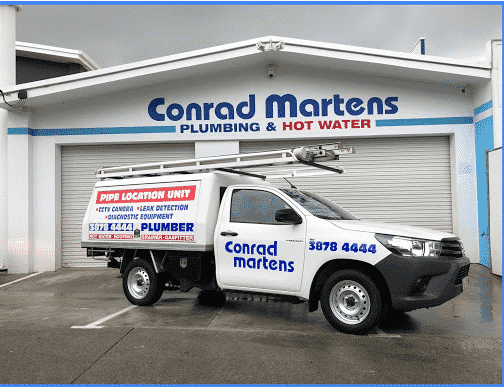 – Conrad Martens Plumbing & Hot Water are Dux Service agents for Brisbane. – We undergo regular technical service training for electric, gas and heat pump water heaters. – All installations come with a Form 4 and electrical test certificate. – Affordable, same day service referred by Dux. – Our technicians are highly skilled and experienced in repairing Dux Proflow, Prodigy, Always Hot Continuous Flow, SunPro and AeroHeat water heaters. – Our hot water specialists stock the most commonly used Dux spare parts on board. – Do not worry about engaging multiple contractors – our technicians hold plumbing, restricted electrical and gas licences. 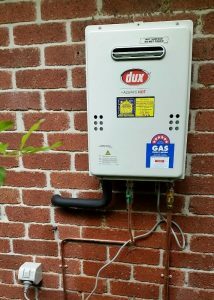 Dux have established themselves as one of Australia leading manufacturers of water heaters. Their ability to provide affordable products which stand the test of time is at the heart of their success with Australian consumers. Focusing on durable technologies with impressive warranty periods, Dux continues to refine and improve its diverse product range. Recent developments towards green technologies have seen the manufacturer launch a range of new energy efficient systems such as the condensing continuous flow, prodigy 5 stars, sunpro and Aeroheat range. Dux’s catalogue of water heaters harnesses a range of energy sources including electricity, natural gas, LPG and solar. The extensive range of sizes and models available ensures a perfect suit for any household size. Gas Storage and Continuous Flow. Brisbane residents are always looking out for the opportunity to reduce expenses. The right water heater and fuel source could result in some serious savings. If you have a single bathroom and 2 or fewer occupants – explore an LPG gas hot water system such as the Dux continuous flow range. Instantaneous (or continuous flow) heaters producing hot water on demand and range from 16L and 26L capacities. 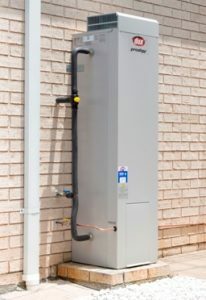 On the other hand, if you have a large household with a big demand for hot water – explore a natural gas storage unit such as the Dux Prodigy 5 star. These versatile, hot water systems are highly efficient for there class and come with an impressive 10-year warranty. Dux Proflo Electric Hot Water Heaters. Dux Pro Flow electric hot water systems are simple yet reliable. The larger tanks (above 80L) all carry an impressive 10-year warranty. The cylinders are constructed using coated steel (vitreous enamel) with the addition of a sacrificial anode for longevity. Water is heated via a thermostatically controlled element which typically heats to between 60-70 degrees. The current range of Proflo units includes 25,50,80,125, 125 Narrow, 250, 315 and 400L. Conrad Martens Plumbing & Hot Water are on call and ready to assist with your hot water needs. To speak to one of our friendly staff, simply call 3878 4444 or email us on office@conradmartens.com.au.